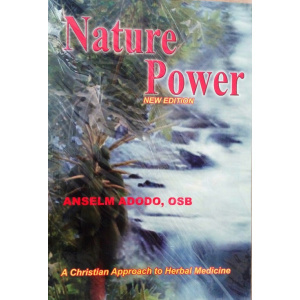 When Nature Power was first published twelve years ago, the practice of herbal medicine in Nigeria and in most parts of Africa was identified with witchcraft, sorcery, ritualism, and all sorts of fetish practices. Because herbal medicine was associated with paganism, African Christians secretly patronize traditional healers, and the educated elite and religious figures did not want to be associated in any way with traditional African medicine. Nature Power, like a lonely voice in a wilderness, was written to correct the misconception that African herbal medicine is synonymous with paganism, ritualism, and fetishism. Since its publication, Nature Power has been reprinted more than eight times. It has contributed immensely in changing the attitudes of both the government and Christians toward the practice of herbal medicine. Nature Power has also helped show that health is more than an absence of disease. Health is wholeness of mind, soul, and body. Much of the information in this book is age-old secrets, which herbalists keep close to their chests. I have made them available here so that humanity may profit from them.